Do headaches and migraines interfere with teaching and living your best life? 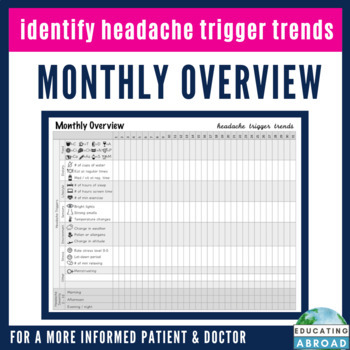 Has your doctor suggested keeping a headache journal to better understand your headache triggers? 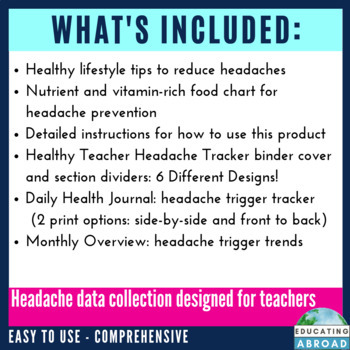 I developed this Headache Tracker to better understand my own headache pain. Being more aware of my body, environment and the choices I was making has helped me identify my personal headache triggers. Managing these triggers = managing my headache and migraine pain. As teachers, we often collect data on our students, but are too busy to collect data about ourselves. This journal was designed especially for busy teachers- it is comprehensive while still being quick and easy to use. 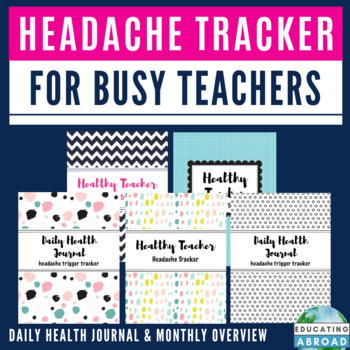 My wish is for more teachers be headache-free with the help of this tool! 2 pages per day - print enough to track at least one month. Track one month of headache data and potential triggers on a single sheet of paper. Print and track one whole month to share with your healthcare professional. 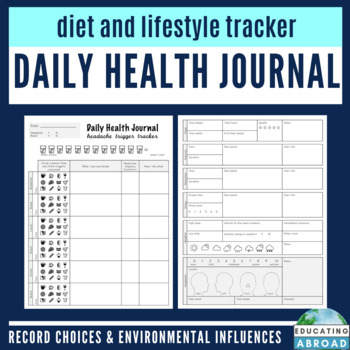 dietary influences: water, food, medication, etc. Build TpT credit by leaving feedback on my products. Next to each title, you will find a Leave Feedback button. You can submit feedback at the time of purchase or go to My Purchases for a list of what you have bought in the past. Every 100 Credits is worth $5 which you can apply towards future TpT purchases, but there is no need to wait until you have 100 to redeem them. 50 credits is worth $2.50, for example. BECOME A FOLLOWER OF MY STORE. Follow my store to keep updated about my new products, sales, and discounts! New products are 50% off for the first 48 hours. Follow my store to receive emails once new products are posted. Happy teaching- may you be well!